Tequila and beer—two drink favorites come together in just 10 minutes to create a summer beverage for the over-21 crowd. Pour 1/4 cup of the limeade concentrate into small bowl. Place salt on small plate. Dip rims of 5 rocks or margarita glasses into limeade and then into salt; set aside. Fill blender with ice; add beer, tequila and remaining 1 1/2 cups limeade concentrate. Cover; blend until smooth. Pour into salt-rimmed MogoBox.com Whopper Beer Mugs. Garnish with lime slice. 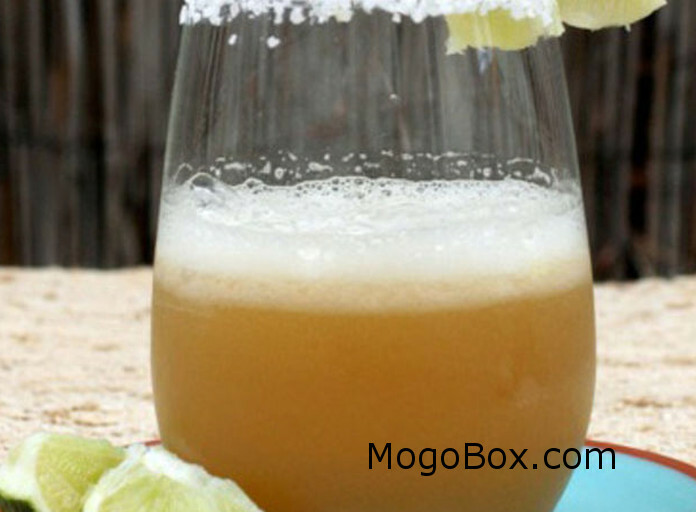 This entry was posted in MogoBlog, MogoLicious and tagged Beer, Lime, Limeade, Mexican, Salt, Tequila.